Sitting in the back of the church gives you the opportunity to observe a lot that goes on in front of you. For someone like me who can be easily distracted at times, that isn’t a good thing, which is why I aim for sitting in the front. But on this particular Sunday I believe sitting in the back was a blessing because what caught my eye was intentional. There was a little girl sitting next to her father, nothing uncommon about that right. But then another little girl came in. As she made her way to her seat the first little girl moved over giving the second little girl that place. She was now the one sitting next to her daddy. You can tell what a joy it was for her because she sweetly laid her head on his shoulder and I imagine that it was a joy for him as well because he then leaned into her. She was daddy’s little girl. It made me think about how God views us. Can you imagine one day just sitting next to your Father in heaven with an inner squeal of delight? It doesn’t matter what has happened in the past or how disobedient you may have been the day before, He still leans into you. It is His desire for you to know that you are loved. It is a language you are not familiar with. Sure it’s English, but it is a spiritual language that only those who know Him and believe in Him can fully comprehend. If you have never begun a relationship with Him or opened your heart to His gentle nudging, then these words may not mean anything. You don’t believe it to be true. So often as Christians we become numb to the scriptures that are often quoted. We hear them so much that instead of them making us rejoice they simply pass over us. We are allowing shame and guilt to hold a spot in us that blocks that verse from fully taking root. Over the past year I have been praying away all the shame and guilt from my past that keeps trying to hold me back from truly experiencing God’s grace and His love. Yes, I know that I am forgiven but I had not fully forgiven myself. On Sunday, I realized that I had made a breakthrough. 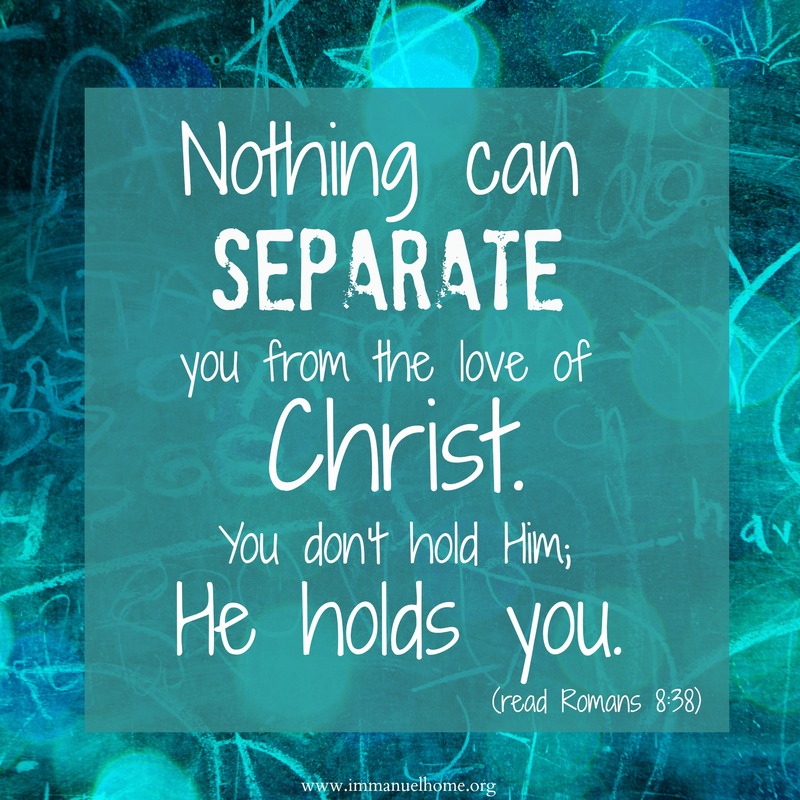 I truly believe that NOTHING can separate me from His love. He pursued me and He holds me, not in His hands like the song says, but in His arms. I am Daddy’s little girl. So please excuse me while I take my place nestled right next to Him. 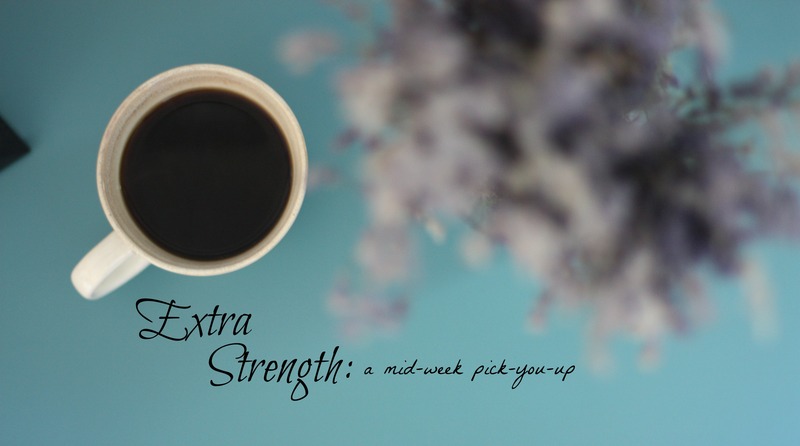 What are the things that are holding you back from truly experiencing God’s grace and His love? Begin to take those things to God and seek His forgiveness if you have not already repented. Remember that when we repent, we turn away from the sin. If you have already repented and been forgiven but you are stuck like I was, keep bringing it to God and recite the Romans 8:38-39 verses until you believe it.